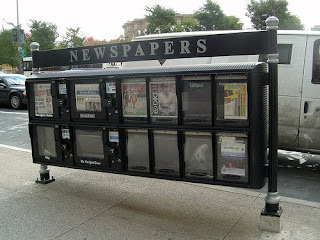 Painless Technology: Future of Newspapers? Thought this article, Newspapers and Thinking the Unthinkable, tied in with my previous one about textbooks. A good read. Great discussion starter. Clay Shirky, the author of the article, wrote the book, Here Comes Everybody: The Power of Organizing without Organizations.